Hong Kong, March 20, 2019 -- Between a successful collaboration with EnOcean, DALI test certification and an incredible array of groundbreaking new products, 2019 is already proving to be a banner year for GRE Alpha. 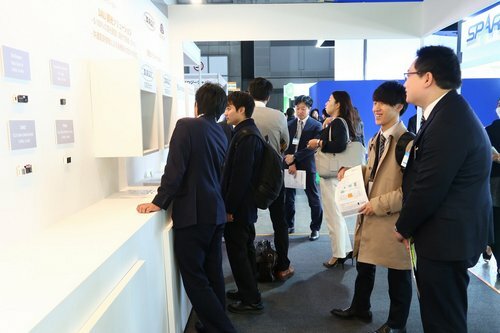 Visitor turnout more than doubled from 2018 in their third year of participation in the NIKKEI MESSE Lighting Exhibition. 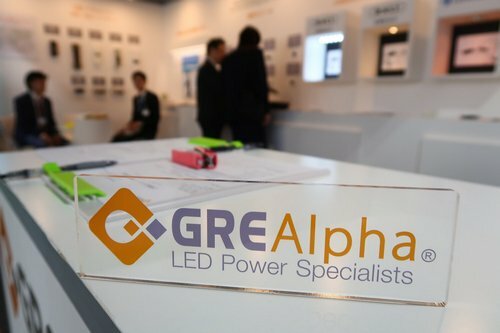 Over a 4 day period, from March 5 to 8, the GRE Alpha team welcomed hundreds of guests while showcasing their latest LED Dimming Modules, LED Drivers and loT themed products with live interactive displays. 100 Watt CV TRIAC dimmable LED Driver XLAVP100. Constant Voltage LED Drivers 100 Watt and 150 Watt with patented easy install. GRE Alpha® Electronics, Ltd. is starting 2019 strong, with new enhancements to its website, including a robust resources section and a new Japanese language site. These efforts come as GRE Alpha continues to expand its customer base and enter new markets as a leader in the design and manufacture of solid-state lighting power supplies and lighting control accessories. that best meet their needs in harsh operating conditions. GRE Alpha has been steadily growing its presence in the Japanese market since opening a Tokyo office in 2017. The Japanese site will feature the same content as the global GRE Alpha site, plus market-specific information, making it a useful resource for Japanese customers and prospects. "The Japanese market is extremely important to GRE Alpha. We have seen great success there since 2017 and deploying a website in Japanese further demonstrates our commitment to our customers in the region. I hope our Japanese colleagues will use the site to learn more about our products, but also take advantage of the resources we offer to help them," says Fong. GRE Alpha® Electronics, Ltd. specializes in the design and manufacture of solid-state lighting power supplies and lighting control accessories which are the lifeblood of indoor and outdoor LED lighting systems. 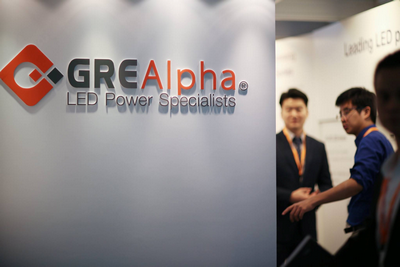 Unlike many in the LED industry, GRE Alpha focuses on a modular approach. Our products can be used either in conjunction with existing systems or with new setups. With more than two decades of power conversion expertise and a commitment towards innovation, GRE Alpha engages with industry pioneers to deliver highly efficient, installation-ready, and agency-approved LED power conversion products for a wide variety of industry applications. From smart LED dimmer modules to LED drivers with increased temperature capacity, GRE Alpha's new products on display at the 2018 Hong Kong International Lighting Fair captured the attention of attendees from more than 15 countries during October's four-day event. 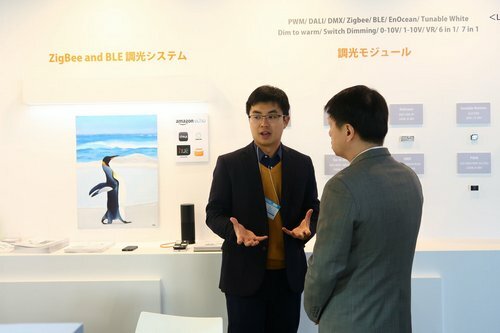 This year's fair had increased focus on IoT technologies, focused on smart lighting applications, which GRE Alpha is focused on as a key growth area. "The Hong Kong International Lighting Fair is really a fantastic platform to display and demonstrate our new products," said Fong. "We continue to see strong interest globally, with an increase in booth visitors from Asia, particularly Japan, which is a large and growing market for GRE Alpha." HONG KONG - GRE Alpha Electronics, Ltd., a designer and manufacturer of LED power supplies and systems, is excited to announce that they have just become certified as a accredited DALI test lab, capable of providing complete DALI1 and DALI2 testing services for BUS power supplies, control gears and devices and one of the first in Asia to offer these services. By becoming a DiiA accredited test-house, GRE Alpha can offer testing services for DALI 1 and DALI 2 to their customers. Test sequences are established by DiiA’s Technical & Certification Work Group (T&C WG) and are supplied to DiiA members. Test sequences are required for each part of IEC 62386, the international DALI standard. GRE Alpha has state-of- the art DALI tester to run the IEC62386 normative test sequences distributed by the DIIA. By providing this service to their customer base they can assure that DALI protocol enabled driver products are certified by the standard. This aligns with GRE Alpha’s aim to provide their customers with reliable products on a flexible platform. The DALI testing accreditation page details GRE Alpha’s testing capabilities and other DiiA related services. GRE Alpha carries several products such as the SLD-DIM DALI that provides intelligent dimming for home automation. The GLD-DIM is another of their dimming modules that utilizes the DALI protocol for seamless integration to LED dimming strips and linear lighting systems. Both products provide smooth and consistent dimming using the flexible and efficient DALI protocol. GRE Alpha® Electronics, Ltd. specializes in the design and manufacture of solid-state lighting power supplies and lighting control accessories that are the lifeblood of indoor and outdoor LED lighting systems. Unlike many in the LED industry, GRE Alpha focuses on a modular approach. Their products can be used either with existing systems or with new setups. SLD-SMARTDIM Wireless Dimming Module – Works with multiple smart home protocols and devices such as Osram, Philips, IKEA, Amazon Echo and more. BLE Dimming Module –Uses the GalaXi platform along with Gateway and a smart Sensor for smart building management and operations. New LED driver series with hi-tech, 300-watt E-Capless power supply series with patented high-temperature core technology, along with a new 100 Watt CV TRIAC dimmable LED driver series and constant voltage LED drivers with patented easy install. New LED dimming accessories include dimming modules for Soraa, Philips and Citizen Dim-to-Warm/Tunable White MR 16s along with DALI2, DMX, PWM, Switch Dim, and Dim-to-Warm Tunable White Dimming modules. Please visit www.hktdc.com for more information—or to register for— the biggest annual lighting event in Asia. For more information about GRE Alpha’s products or to schedule a one-on-one appointment with an expert, please visit our Enquiries page.